Your ankles, knees, hips, pelvis, lower back and neck are the joints that facilitate your movement. These weight-bearing joints are like links in a chain, coordinated with muscles, tendons and ligaments. And, your feet are responsible to maintain the balance of your body when you’re upright, walking or running. This is why it’s important to maintain the perfect balance and support. Every time your feet touch the ground, your body feels the impact. Over a period of time this can take a toll and if your feet are not balanced, it may result in an injury or bad posture. Balanced feet act as shock absorbers and customized orthotics correct any imbalance in your feet to help support your entire body. Our Foot Levelers customized orthotics provide the perfect support to the arches of your feet. They assure continuous support to your feet and body and also absorb any shock. 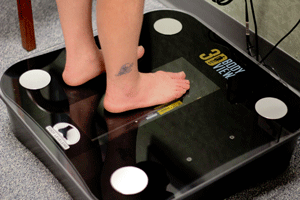 These orthotics help restore balance and reduce pain and fatigue. They help support your lower back, energy levels, posture and circulation. Give us a call today and stand strong and tall!